A decision matrix is a tool to help you decide between multiple options by scoring them against different criteria. Using a decision matrix you can effectively blast through tough decisions. 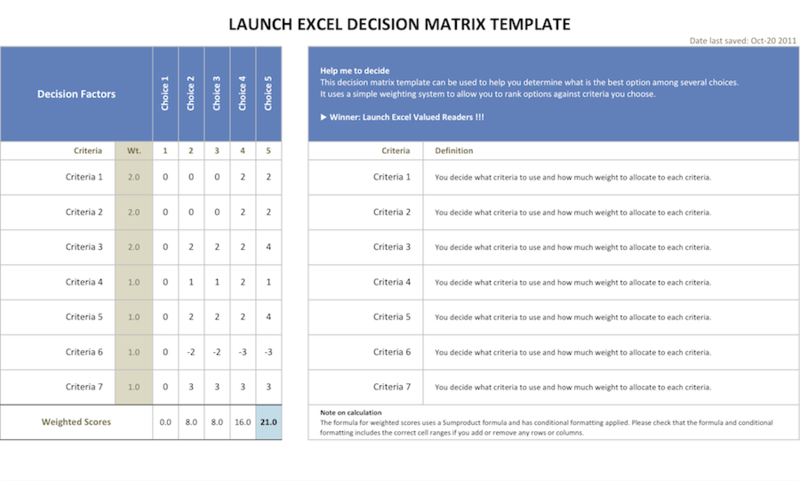 Check out these links to Decision Matrix resources on the web, read our articles about using a Decision Matrix in Excel or get a free copy of our Decision Matrix.